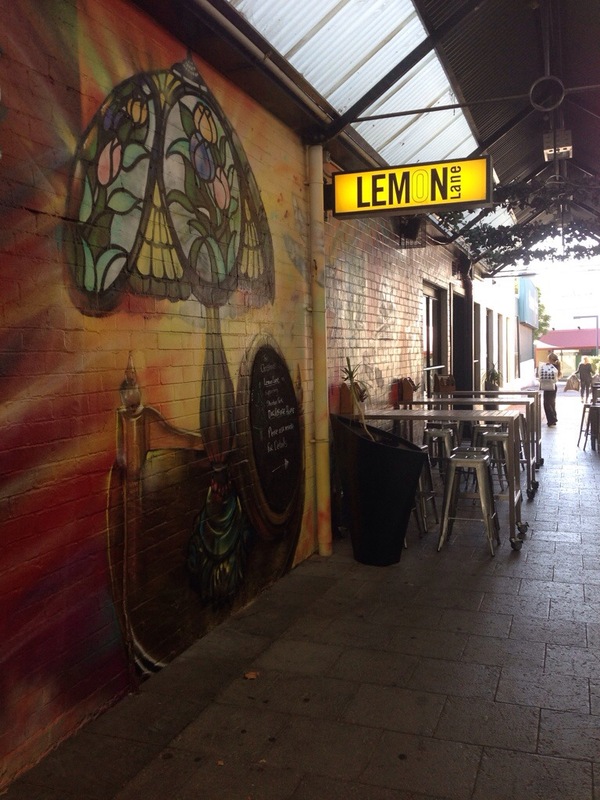 Lemon Lane is located in Claremont, near the Quarter and tucked inside an alleyway filled with colourful street art. 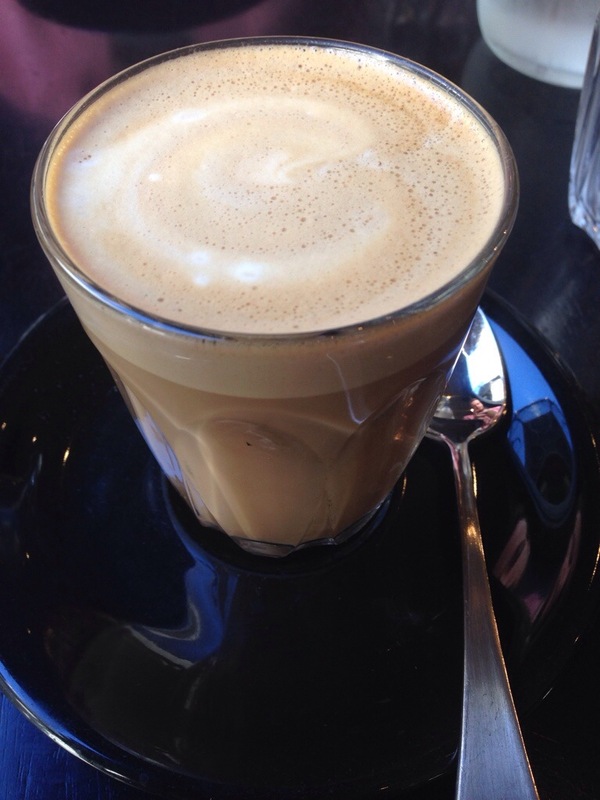 The coffee here was decent, a good flavour and creamy. However it was a bit hot and the foam could’ve been better. We ordered a banana smoothie to share. 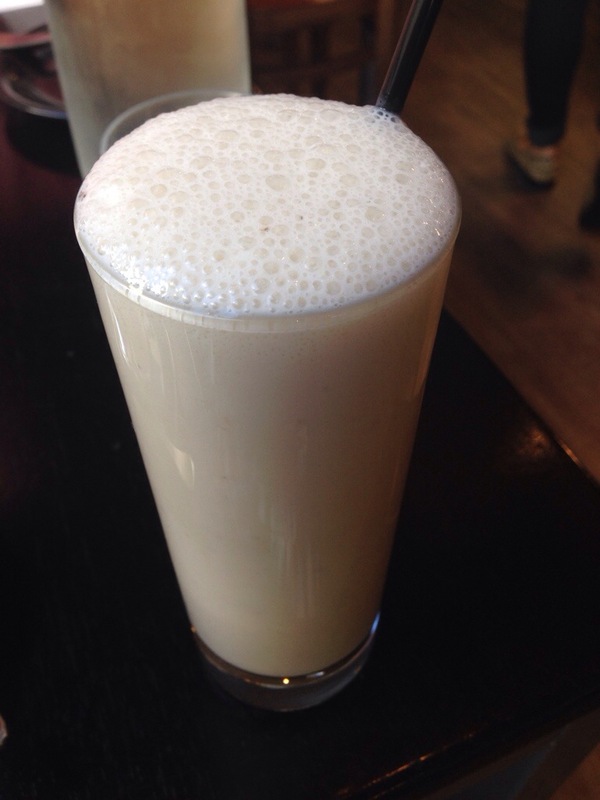 Its predominant favouring was banana and honey, with a hit of yogurt. It had nice flavours and was a good thickness, quite a nice smoothie on the whole. Our first dish was a natural yogurt, bircher museli with vanilla poached strawberries. 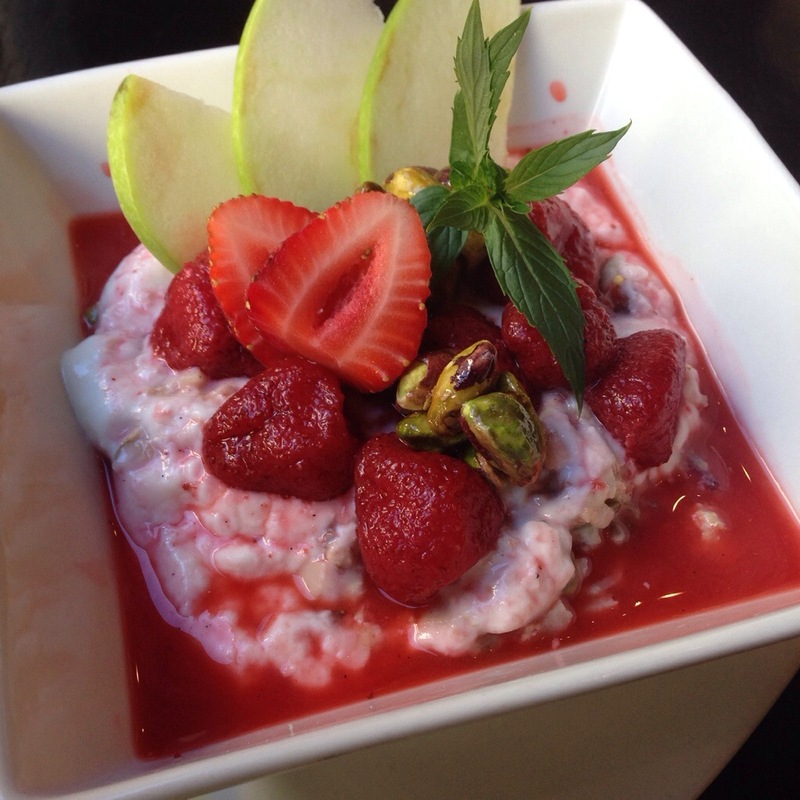 The bircher museli was soft and beautifully sweetened with vanilla and the strawberry. This museli was unique with honey pistachio but clusters on top and the addition of grated apple and pumpkin seeds. A great healthy breakfast option. We also tried the bacon and egg flatbread. 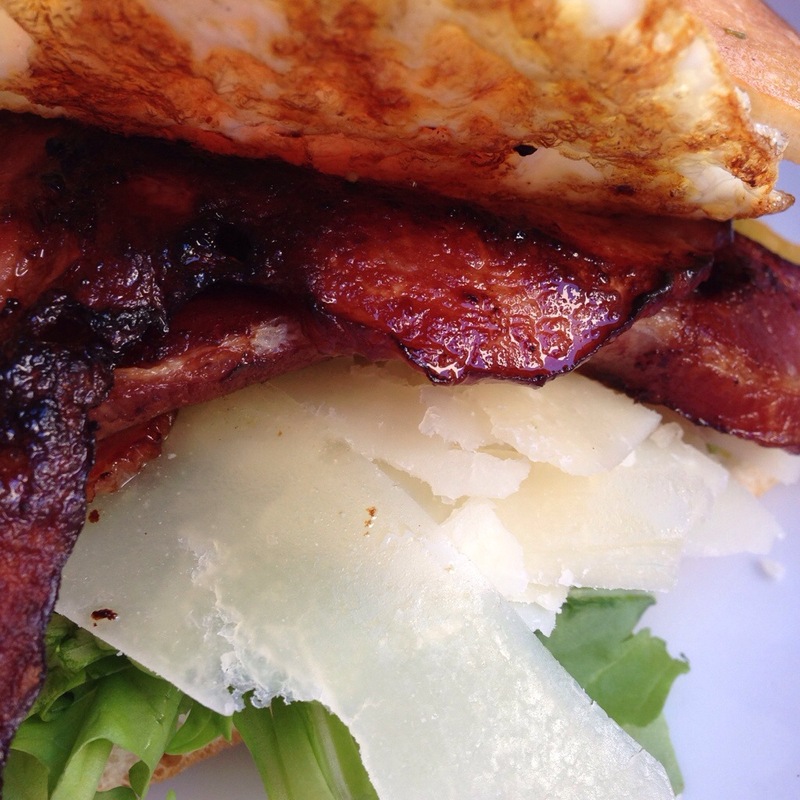 It was a solid meal, with good cheese and crispy bacon. The yolk of the egg was nice, but there was a touch of egg white that wasn’t quite cooked. 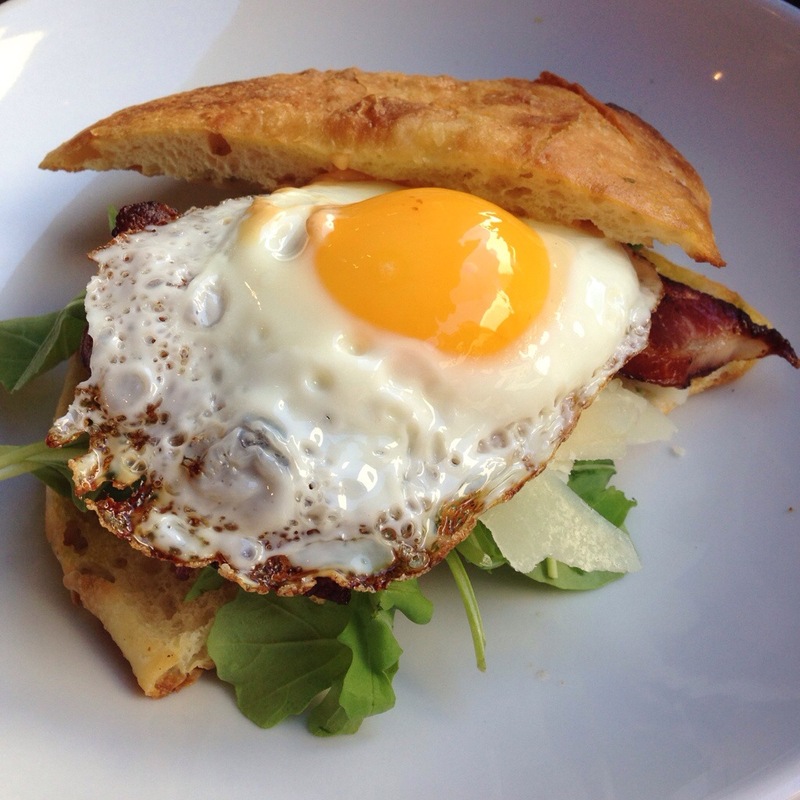 This breakfast is also an example of the trend of putting eggs on lunch menu items and calling them breakfast. That being said we really didn’t mind, and it was a nice dish on the whole. Lemon Lane is a great little spot to escape the crowds of the Quarter and places like Typika and to enjoy a quiet coffee and breakfast. God I am hungry reading this post and seeing the pictures.